In book one in in our international thriller The Orphan Trilogy, we show Nine discovering an underground orphanage and witnessing the most horrible medical and scientific experiments imaginable being conducted on young orphans; in book three in the trilogy, we show one of the world’s leading pharmaceutical companies kidnapping orphans and placing them in clandestine orphanages all over the world. You don’t need to be a genius to know that corruption is rife in the world’s most lucrative fields. It seems few in positions of power have the ability to resist the temptation of generating vast sums of money via devious if not downright dishonest means. Whether it be profiting from manufactured arms conflicts, manipulating financial markets or creating the illusion of a scarcity of minerals and resources, history proves greed is often the rule and not the exception when it comes to the global elite’s pursuit of wealth – or, perhaps more pertinently and disturbingly, when it comes to their pursuit of greater wealth. Many argue that the medical sector is no different. This seems a strange accusation given most in this field, including doctors, nurses and hospital staff, embark on their careers out of a compassionate and genuine desire to care for the sick. Unfortunately, there are powers-that-be whose motives are not so noble. Collectively and unofficially called the Medical Industrial Complex, they comprise a surprisingly large number of individuals, corporations, government health services and, dare we say it, hangers-on. Those in the latter category include the likes of health systems consultants, insurers, banking executives, accountants, lawyers, construction experts and even realtors. Other key players in this complex include hospitals, the medical academic establishment, hospital supply and equipment companies, and of course the drug companies – let’s not forget them. 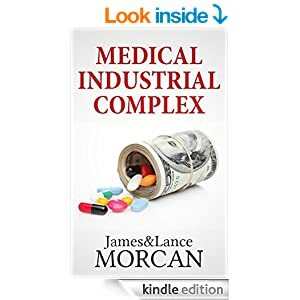 To put the Medical Industrial Complex into perspective, consider this: modern medicine is one of the largest and most profitable industries on the planet. Someone who should know described it as America’s biggest industry. Not sure it’s as big as the war industry, but if it ain’t, it must be a close second. At the time of writing, Americans were transfixed, bemused and frustrated by the partisan squabbling surrounding President Obama’s attempts to sort out the country’s healthcare provisions once and for all. One who summarizes America’s health problems better than most is William A. Collins, a former state representative and former Mayor of Norwalk, Connecticut. 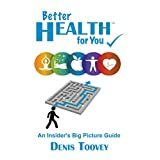 In an article dated August 21, 2013, on OtherWords.org, Collins says in the US, the health industry’s big players focus on making as much money as possible. Collins also says, “The providers devise the system, making profits a high priority. Patients that can’t contribute to profit margins are shunted off to government services or ignored… The network of handshakes and private agreements that links hospitals to medical device manufacturers and drug reps inflates our health cost just as much as the insurance and Big Pharma… Fortunately, the main offenders can be clearly labeled. Chief among them are the health insurers and the drug manufacturers. Big Pharma wields an army of lobbyists and administers large doses of campaign contributions to their friends in Congress”. For those not familiar with the term Big Pharma, it’s the nickname given to the major pharmaceutical conglomerates which collectively form this multi-trillion dollar industry. 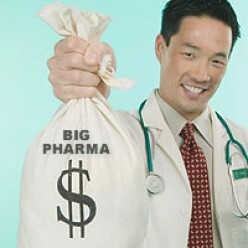 Many believe Big Pharma can be compared to the most corrupt banks, media monopolies or oil corporations. 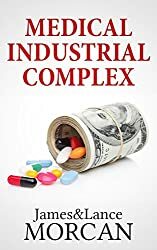 If you haven’t worked it out already, the conspiracy theory we explore in this chapter contends that Big Pharma and other participants in the Medical Industrial Complex put profits ahead of patients’ wellbeing and dollars ahead of lives. 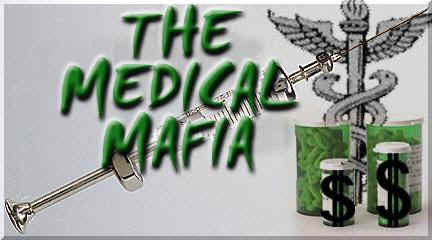 If Big Pharma is the Devil in this medical conspiracy theory, then natural/alternative medicine would probably be God. One sign that the Medical Industrial Complex may view natural/alternative medicine as a financial threat is the sweeping law changes it has forced upon the alternative health market in recent years. Today, most nations now have laws requiring any health substance with medicinal claims to be legally defined as “drugs”. This includes herbal remedies and various other non-drug medicines of natural origins. Critics say such laws prevent wider distribution of natural health products and give Big Pharma ever more control. In the US, these laws are monitored by the Food and Drug Administration (FDA), an organization which conspiracy theorists argue is at the very top of the Medical Industrial Complex. That’s right folks, the same FDA that allows genetically-modified Monsanto organisms in your food supply and the same FDA that allows your kids to consume Aspartame in soft drinks is the organization responsible for telling Americans how they can and cannot treat their illnesses. It has been repeatedly argued by natural health proponents that major pharmaceutical companies, along with their supportive cronies in governments, conspired to pass these laws to force the public to only use modern medicines that are pharmacological, patented and profitable. Call us crazy, but we think any product with 100% natural and non-synthetic ingredients such as herbs, veggies and roots should be in a totally separate category to synthetic, laboratory-made pharmaceutical drugs. Many alternative health researchers also claim that little funding is granted for research into natural or traditional cures because Big Pharma cannot patent things which occur organically in nature. One such example is the work of high-profile American chemist and Nobel Peace Prize-recipient Linus Pauling (1901-1994). He received no support from the medical establishment for radical health discoveries he claimed he discovered when experimenting with mega-doses of Vitamin C. Despite his illustrious credentials, Pauling was also labeled a quack for his claims that the natural, unpatentable Vitamin C could cure a whole host of diseases, including cancer. 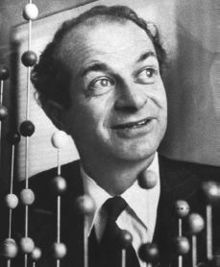 Linus Pauling…labeled a quack despite his credentials. As covered in chapter 7, there seems to be more than enough evidence to support the claim that at least some scientific breakthroughs are suppressed. Unfortunately, it appears this also happens within modern medicine where cures for various illnesses mysteriously vanish or are quashed by the medical establishment. This suppression theory supports the assertion that Big Pharma needs sick people to prosper. 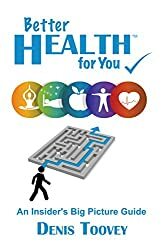 Patients, not healthy people, are their customers. 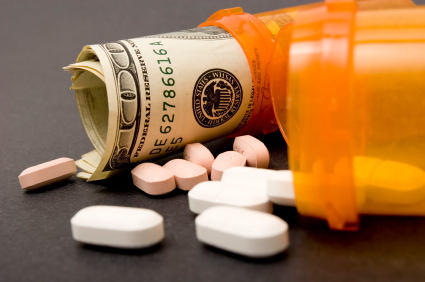 If everybody was cured of a particular illness or disease, pharmaceutical companies would lose 100% of their profits on the products they sell for that ailment. “The cancer industry world wide is estimated at a 200 billion dollar a year industry. There are many in various associated positions within that industry who would be without a job if that cash flow dried up suddenly with the news that there are cheaper, less harmful, and more efficacious remedies available. Big Pharmacy would virtually vanish.” –Paul Fassa. Article excerpt in Natural News, September 24, 2009. In the West at least, cancer is the biggest natural killer. Some fatality estimates have been as high as 20,000 cancer patients worldwide dying every day. When a cancer cure is finally found it will save millions of lives and will be the medical discovery of this era. In the last few decades, hundreds of billions of dollars have been spent internationally on cancer research. In the US alone, since President Nixon launched his ‘War on Cancer’ program in 1971, tens of billions in government funding have been granted to cancer researchers. However, there are theories out there which suggest there has already been a cure, or many cures, discovered for cancer. These popular conspiracy theories suggest the Medical Industrial Complex have a huge financial incentive to suppress cures so they can continue to provide their own costly treatments for cancer patients. There are many case studies that support the theory. Here’s a sample of those. In the 1920’s, Canadian nurse Rene Caisse developed a natural concoction of herbs called Essiac. She claimed it could cure cancer and garnered many testimonials from satisfied patients said to be cancer-free after taking the product. Laboratory tests did not confirm Essiac offered any benefits whatsoever, but conspiracy theorists argue the lab tests were rigged and that Big Pharma flexed its muscle to shut Caisse down. In the 1940’s, German-born American physician Max Gerson (1881-1959) developed anutrition-based cancer treatmentcalled Gerson Therapy. After repeatedly claiming his therapy cured cancer, Doctor Gerson had his medical license suspended and he died while still under suspension. Although now a maligned and mostly forgotten cancer treatment in America, it remains popular in Mexico where there are Gerson clinics in operation, treating local and foreign cancer patients. In the 1950’s, American coal miner Harry Hoxsey promoted his family’s century-old herbal recipe, which he touted as a cancer cure. He set up clinics in 17 states around America before all were closed down by the FDA.Hoxsey made a rare documentary film in 1957 called You Don’t Have to Die, which detailed his cure and covered the patients he treated with it. There’s a more recent documentary titled Hoxsey: How Healing Becomes a Crime, which chronicles his battles with ‘organized medicine’. The American Cancer Society says on its website that numerous studies showed Di Bella Therapy “may have had a negative effect compared to the outcome for similar patients receiving standard treatment”. However, there are some alternative medical researchers who believe Di Bella therapy was a legitimate cancer cure that was permanently quashed by the medical establishment. Professor Luigi di Bella…claims Big Pharma was out to get him. Of course, always consult with your doctor first. (And in case you’re wondering, this is another disclaimer we had to include for legal reasons!). To be fair, the natural health sector has attracted its share of quacks, too, so all claims of cures should be treated with a degree of skepticism until proven. However, automatically riding roughshod over claims of natural cures, especially where those claims are supported by glowing, bona-fide testimonials, is not the answer any more than gullibly believing them all is. On May 14, 2013, German news magazine Der Spiegel ran an article about international drug companies conducting illegal tests on impoverished citizens in India. The article stated, “The practice is forbidden, but the use of subcontractors makes it difficult to detect”. In 2008, it was revealed that over a two-and-a- half-year period of testing medicines at the All India Institute of Medical Sciences (AIIMS), 49 babies had died during clinical studies. The Times of India reported this incident in no uncertain terms in an August 19, 2008 article headlined 49 babies die during clinical trials at AIIMS. 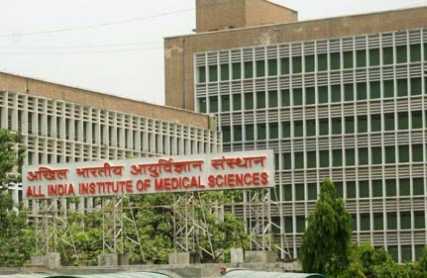 AIIMS headquarters in New Delhi… site of illegal testing of patients. Such experimentation is in direct violation of the World Medical Association’s Declaration of Helsinki, which requires subjects in tests to be shielded from harm. However, in the AIIMS scandal the accused international drug manufacturers denied all responsibility for, or even any involvement in, the tests on the babies. Besides India, it’s common for Big Pharma to carry out illegal testing of medicines and drugs on human subjects in Russia, Brazil and China. So maybe showing orphans being used to test pharmaceutical drugs on in The Orphan Uprising is not that far-fetched after all. Sinking natural health products in a sea of red tape? Suppressing cancer cures? Turning humans into lab rats? Cynically targeting babies, impoverished people, psychiatric patients, prisoners and others who don’t have a voice for unethical medical testing? 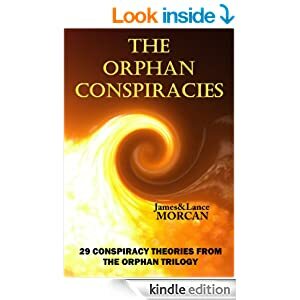 Even if a fraction of the conspiracy theories explored in this chapter are true, it appears something has run amuck in the medical field – within Big Pharma and other key players in the Medical Industrial Complex in particular. For obvious reasons we can’t name names, but one thing’s for sure…You know who you are!